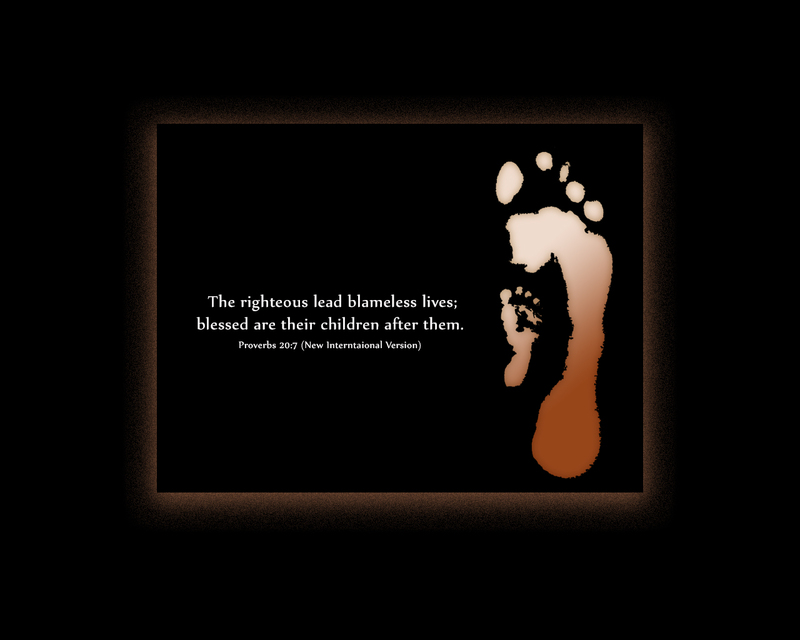 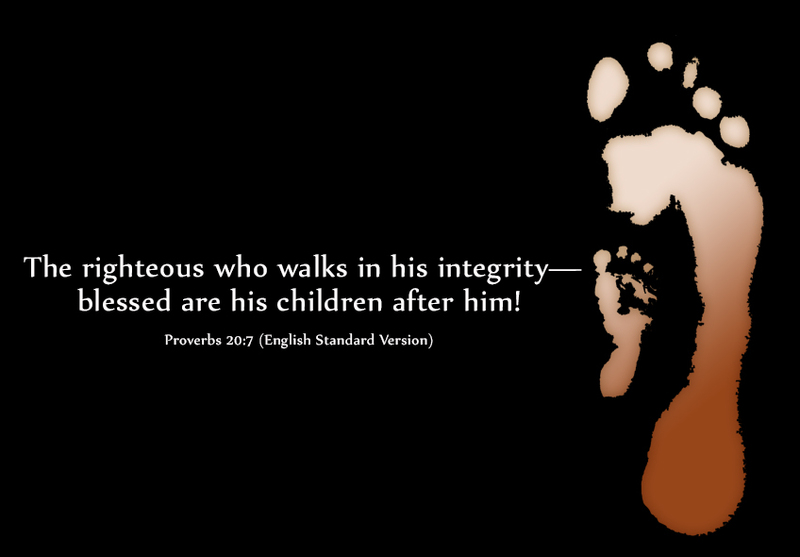 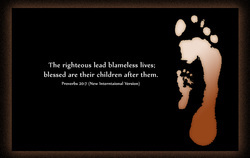 ﻿The footprints of a father and his six month old son bring to mind the pull in the heart of the child to be like the father. From early days he tries to mimic the man who provides the vision of how he is to live his life. A life of integrity is passed down and brings great blessings to the children through their lives even after the father has moved to the heavenly realm.